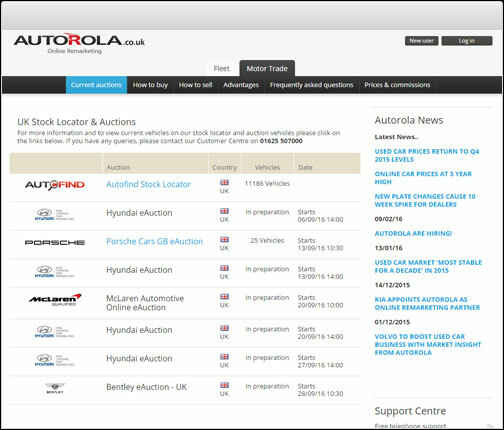 Autorola offers a wide range of online auctions for European and global vehicle vendors driven by our powerful online platform, which is used by over 70,000 active buyers. With over 20 years of experience in online vehicle remarketing, a range of online auction options are available. Open auctions, closed auctions, buy now auctions and white label auctions can all be set up to run on our platform in any country and any language. Visit your local Autorola auction below. WANT TO SELL YOUR VEHICLES? Contact us to get a quote on selling vehicles at our auctions.